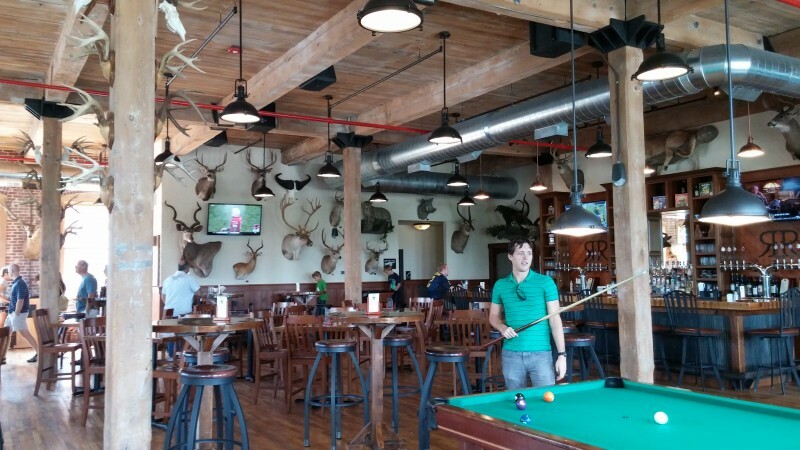 Matt's birthday was Friday, so we all went out to the Rusty Rail Brewery in Mifflinburg. The food was delicious. I had a blue cheese burger with their Blue Collar pale ale and we all shared peanut butter pie for dessert. Delicious! 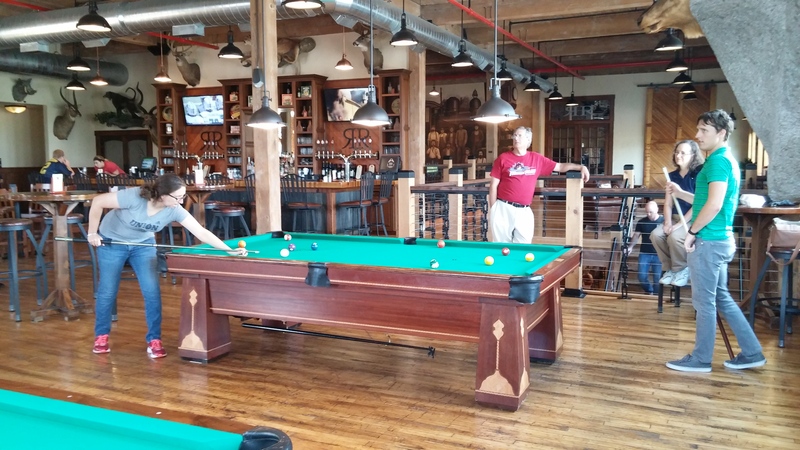 After lunch, we played pool upstairs and the company of many African mammals :D Cool! On Sunday, Dad preached a sermon about the widow who gave two mites to the temple in Jerusalem. It was a really good message. It wasn't so much about how much we give, but about how our hearts live. God doesn't ask for a percentage of the things we have; He is God and He must be All in All. What are the things of this world compared to Him? This widow's heart was inclined toward God; where do our hearts stand toward Him? 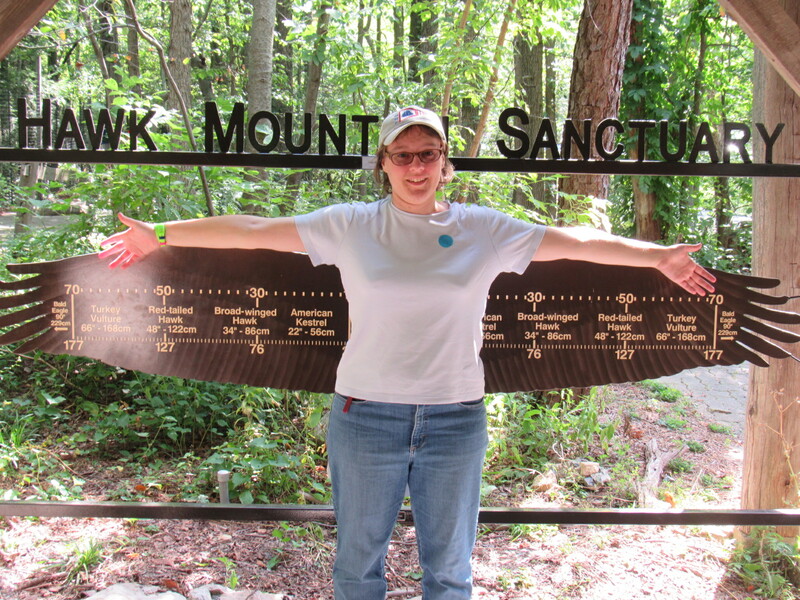 On Monday, I took off work because I wanted to see some special programs at Hawk Mountain. We'd never been there before, but I had read online that for the weekend they would be showing some birds, teaching about raptor identification, and more. Hawk Mountain is located in south-eastern PA, so it wasn't very far for us. 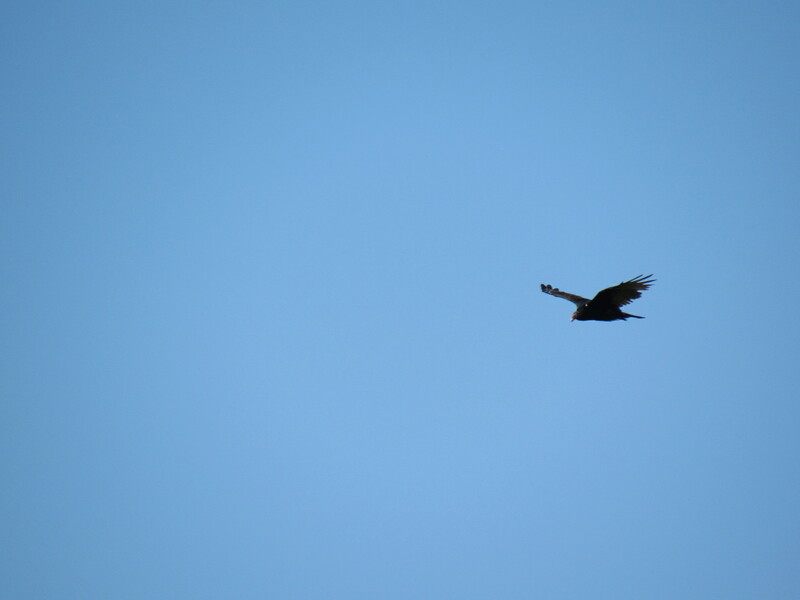 I was especially interested in the Turkey Vultures, since I've been seeing them in this area and love to watch their soaring flight. They're beautiful as they glide across the sky. 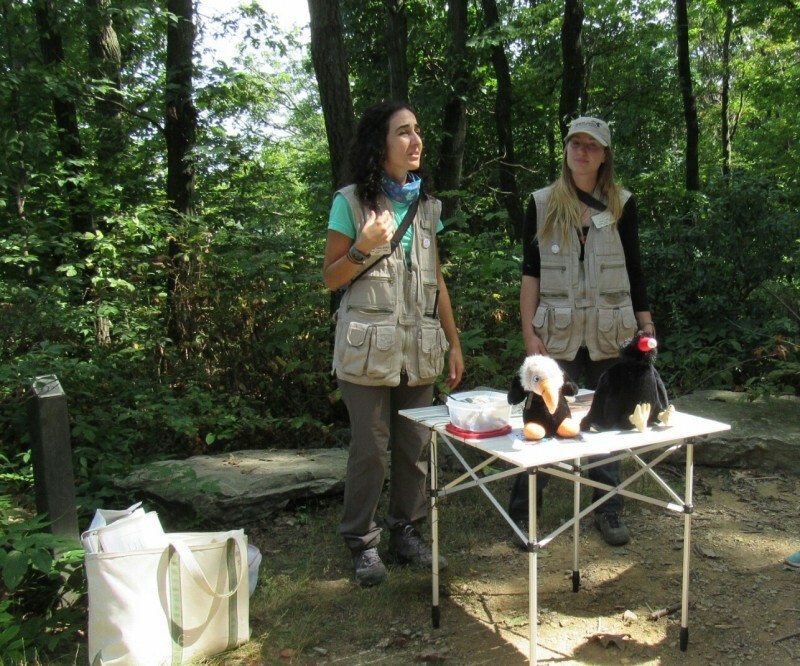 These two workers taught us about how scientists research the movement and migration of birds. They showed us how they capture vultures and the different types of rings, tags, and trackers that they apply. (The type of research project determines which of those they use.) Research like this is important because vulture populations are in decline in parts of the world due to hunting, pesticides, and other reasons. 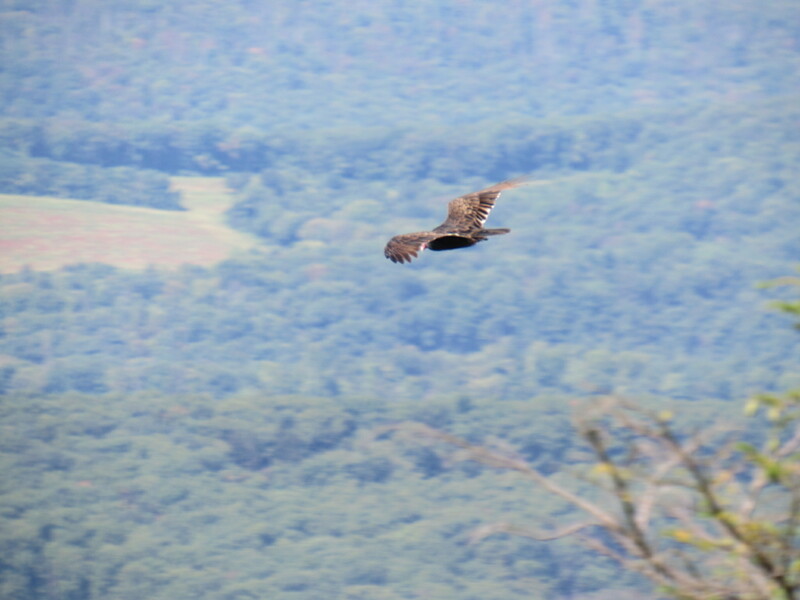 Hawk Mountain also has a number of trails and lookouts where you can enjoy nature and see birds of prey up. 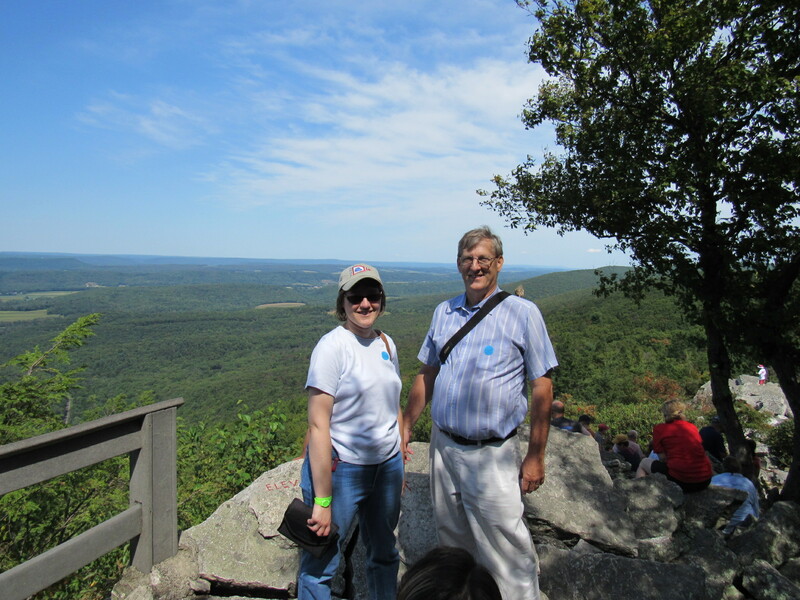 Dad and I hiked the rocky trail from South to North Lookout. Whew, what a hike! But we made it and at the top there was a beautiful view!! But even in the public areas, they have a lot of information available. 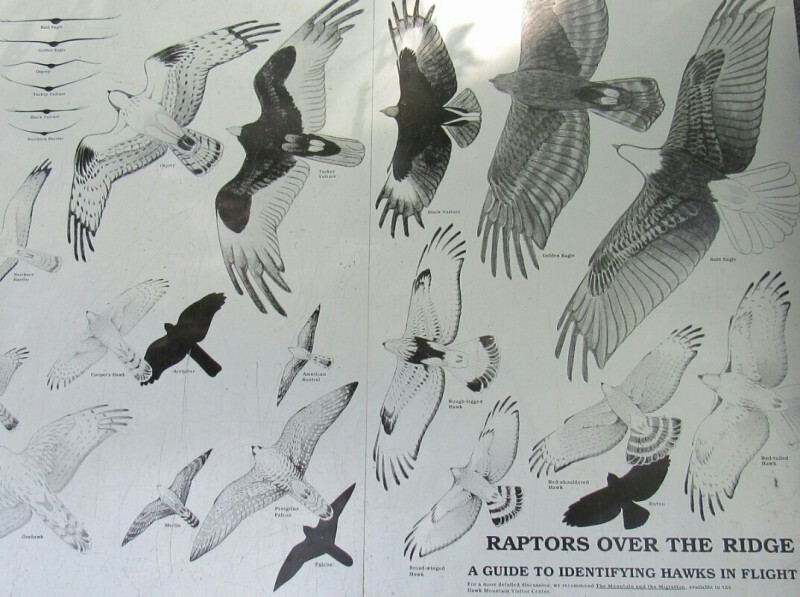 Along the trails, there are a variety of signs that teach you about birds. Here was one of them. All together, it was a wonderful weekend! I'm thankful for all of these blessings.